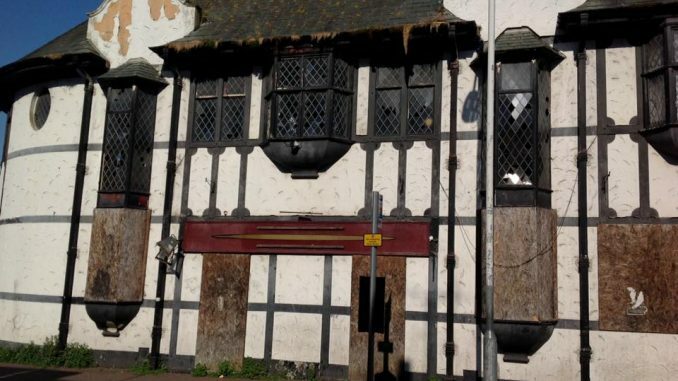 Thanet council has issued a 21 day notice to clear and secure the land to the new owners of the former Braces pub in Ramsgate. The King Street property has been empty for more than a decade. In 2017 permission was granted for it to be razed to the ground to make way for nine, two-bed flats . But the pub, once the Swiss Cottage and before that the Duke of Kent, was then put on the sales market again last year. It was being marketed by Miles & Barr as a development opportunity for offers in the region of £385,000. According to Land Registry £350,000 was paid for the site by Deal-based Pemberton Estates (SE) Ltd on December 7 last year. The Isle of Thanet News attempted to find a contact number but the firm is currently listed as dormant. However, demolition work is yet to take place and residents in flats at the rear of the site say it has become a dumping ground, attracting rats which are then getting into their properties. They also say they fear a serious accident will happen due to the number of young people trespassing at the site. One resident, who asked not to be named, said: “It is in a sad, rotten derelict and overgrown state and is becoming a serious concern as countless groups of young children and youths keep trespassing on the site via an access on Belmont Street. “I have lost count of how many times the police have had to be called out. We are continuously keep telling these groups to get out as this site is so dangerous and will result in a serious accident happening if nothing is done soon. “ It has also attracted fly tippers with numerous amounts of household furniture and waste, mattresses, sofas that have been dumped inside the vicinity and can be seen protruding from the public footpath. This is fuelling a plague of rats and mice that we have been getting in our flat. It is seriously affecting our living conditions as we have seen countless mice within our property, including under our bed and the bath and can hear them running across our ceiling. “We found a very large dead rat in our kitchen boiler cupboard, We have been in contact with environmental health and Orbit housing but nothing has materialised. A complaint was also made to South Thanet MP Craig Mackinlay who has since been notified of the council action. In correspondence to the MP, seen by The Isle of Thanet News, Thanet council says it issued the 21 day notice last week. If it is not complied with the authority will issue a community protection warning and may then resort to enforcement fines and court action. Thanet council has been asked for further comment. 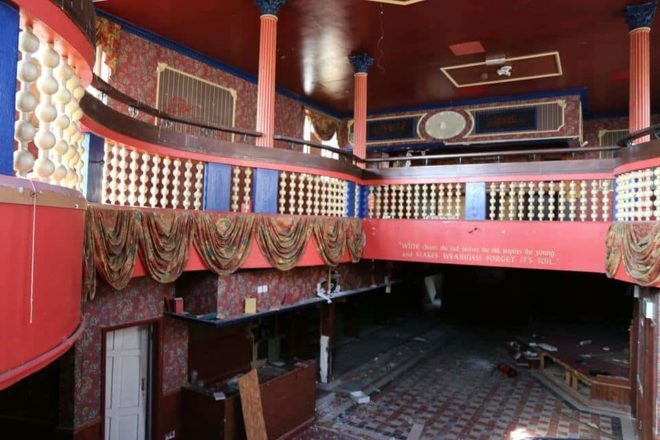 Its really sad how this pub has just been left to rot, check out the insides from the urban explorers pictures in this report and you’ll see what a lovely little place it is. Why does the plans always have to be housing? pubs are closing all the time, this could be resurrected and given a new look but I guess its all down to money and it wont make enough. Such a shame though! 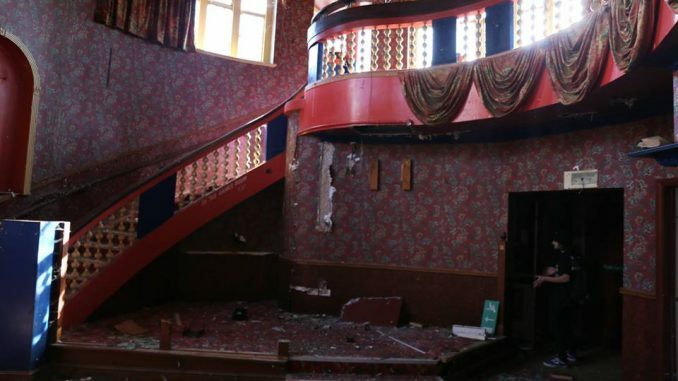 and I have to say that when some people do get in there they just take photos of the insides and post online so anyone can remember what it looked like before it gets demolished or turned into something else. Not every youth that goes in there is trashing it. I agree with this, it’s a piece of beautiful architecture and should be restored to its former glory. Ramsgate has always looked awful in places especially the military story car park the council need to get things sorted what do they do with the money. It looks a dangerous structure and needs to be secured. The lanterns and the window glass is falling out. I don’t know when it was built; it’s a mock Tudor building so I don‘t think if has any listed status. For the nostalgic of us, it would be nice if the flats, when they are eventually built, could retain the character and name.